After much rending of garments and gnashing of teeth, my broken shell of a web-designer has finally completed the task set before him and yea, it hath pleased me mightily. It is officially official: Jay Kristoff is now not only a gibbering interwebs monkey capering for the crowd’s amusement, Jay Kristoff is now a PLACE on the net. If ever you needed an compelling argument for parental locks on web browsers, surely, this be it. To celebrate this pretty cool thing in a month that has been filled with pretty cool things, I am offering booty. Not the In My Pants kind of booty, nay, I speak of booty of actual worth. Among the many awesome writerly folks who’ve not only read STORMDANCER but decided that it did not, in fact, blow herculean amounts of goat, is one Kevin Hearne, author of the IRON DRUID CHRONICLES, easily the best urban Fantasy series I’ve read in frackin’ years. His latest book, TRICKED, just hit the NYT Bestseller list. Boo-frakkin’-yah. 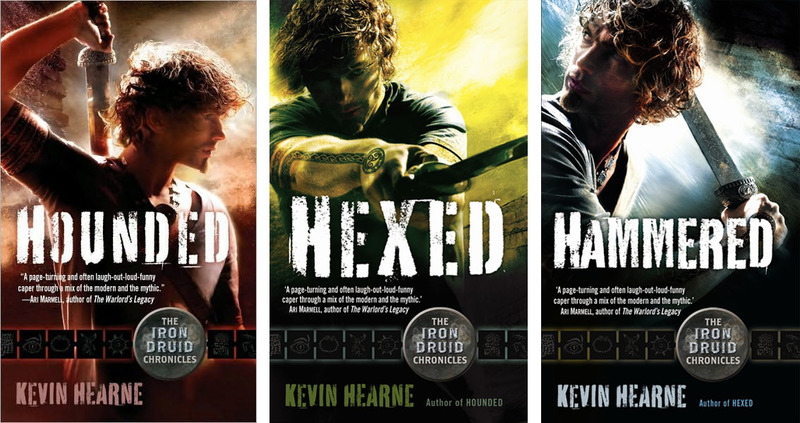 Kevin has ponied up signed copies of HOUNDED, HEXED and HAMMERED – the first three installments of IDC. I’ll also add, the copy of HOUNDED has what may very well be the coolest hand-scrawled note that has ever been penned by mortal man. Real simple. Either tweet about the new website, or put something about it on your Facebook wall. I don’t care what you say, as long as it’s not about my mother. This contest is international. It closes on the 30th of June. 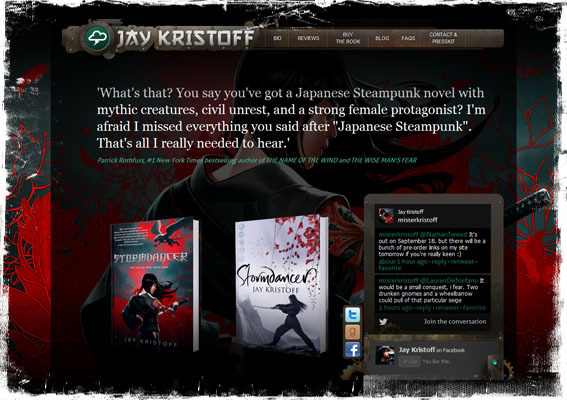 If you’re new here and like the sound of STORMDANCER, you can also put my widget up on your site blog for a chance to win more loot – see the blog post one below this one for details. Have jumped on the boat on Twitter and Facebook. Have an awesome day! I was in at the idea of Japanese Steampunk, but a glowing endorsement from the mighty Kevin Hearne scores you extra points. Can’t wait to try the new book. I’m in on facebook. Can’t wait to read the book! oh my gaud. Tell your web designer that you are missing a section 3. WHY IS THIS?! My ocd cannot stand any more! You should also tell your web designer that he has done an amazing job. On behalf of the world, it is very grateful to have been introduced to such amazingness. Congrats on your website. I’ve got a big problem with this September launch though…it’s too long to wait! Will there at least be an excerpt to read on your website soon? CONGRATS on the awesome page!! I totally tweeted and then pimped your site like nuts on Facebook! Love the site! I totally jumped on this band wagon. Can’t wait to get my hands on this book. Congrats. Great giveaway and I’m so excited to read your book! I tweeted about the book and will continue to do so. This book sounds brilliant. Oh hey I also wanted to say that the cover art for the book is AMAZING! I hope you are happy with it because it’s pretty damn stunning. Oh HELLLLLLLS yes. Jason Chan did an amazing job. Were it not illegal (and for the fact that my wife would murderize me) i would make him my bride. Thanks so much for this chance to win! Fingers crossed! Love the new site! Thanks for the schweet giveaway! Awesome, thanks so much 😀 Good luck in the giveaway! I have you covered! Man these prizes look good!! Thanks Erika, good luck ! I hope I tagged you correctly in both sites. Good thing you’re on WP, my e-mail’s entered there. Oh and your website looks fantastic! 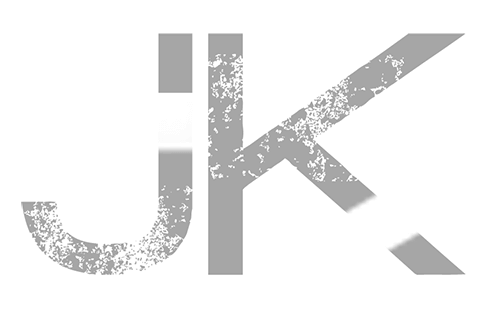 Adding the media kit was really helpful, would be easier to get all the info bloggers (like me) need when we post the review. Nice site and congrats 🙂 I tweeted you (and mentioned your mother like you told me not to do)! Have a good weekend. You actually get bonus points for mentioning my mother. THIS WAS A TEST. YOU HAVE PASSED. PROCEED TO LEVEL 2. Now I shall break Mars bar cookie with my daughter Willow, Enjoy! I may have pimped out more than your website… you probably shouldn’t tell your wife, unless you start getting strange emails. I actually did go for a short walk on the beach last weekend. Lots of graffiti carved into the limestone cliffs. Was odd. New site is gorgeous BTW. Can’t wait to read Stormdancer! Thanks very much, really glad you like the site, and I hope you like the book! I’m assuming NO but can we get extra entries by tweeting/FBing multiple times? Loving the new website!! brilliant! Thanks so much for the support, Gaby!